Home » Articles written by experts, Behavior, Communications, Compliance, Leadership, Risk	» Who Should Organizations Call When Trust is Busted? Who Should Organizations Call When Trust is Busted? Papa John’s is the latest to call for trust “reconstruction” from the inside out. A quick review of recent news headlines also mentions the EPA after Pruitt, Michigan State’s new athletic director, the Charlottesville police department, Samsung, and Wells Fargo, among others, all calling for trust rebuilding. At first glance, the obvious recipients of that “first” phone call might be: PR firms and ad agencies, crisis management firms, risk experts, monitors or watchdogs, lawyers or compliance consultants. Yet every one of those choices will result in a “Band-Aid” fix, at best. For an organization to rebuild trust, the first decision is not who gets the phone call, but who makes it. That first call must originate from the top, and be made to a professional firm with expertise in organizational trust. When that call is delegated to communications, legal or compliance, the chances of obtaining a long-term desired outcome are greatly reduced. Trust building (and rebuilding) is an intentional holistic exercise. It can’t be pushed down the chain of command and it can only be fixed by the “right” people. Trust can’t be rebuilt with a press conference or an ad campaign, and it does take time. 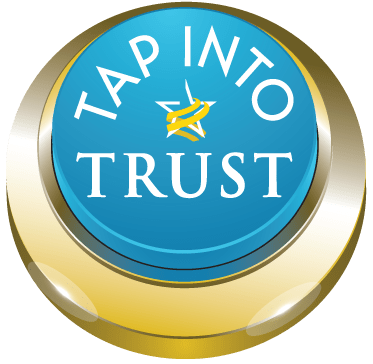 These 12 Principles called TAP, were developed over the course of a year by a global group of ethics and trust professionals who comprise our Trust Alliance. They are currently available in 14 languages as free PDF downloads and serve as a great starting place and a clear roadmap to building and rebuilding trust. A variety of complimentary tools are also available on our website at trustacrossamerica.com and our Trust Alliance members may also be in a position to help.